The lives of authors are often well documented by researchers and it is fairly easy to find out that “so and so lived here from yada to yadadada.” Of greater interest, however, are those authors who have kept an ongoing record of their life through scrapbooks and diaries and journals: almost as if they expected greatness and wanted to have a hand in its documentation. Such was the case with F. Scott Fitzgerald. In 1908, Scott entered the prestigious St. Paul Academy (for more biographical information about Fitzgerald, please see the introduction to “The Curious Case of Benjamin Button”). He had become interested in writing by this time and his childhood diary (called “Thoughtbook”) records that he had begun writing essays and stories as early as 1907. At the Academy, he was encouraged to continue to explore his creative side and most all accounts agree that writing was what he was meant to do. In 1909, he makes mention of 3 stories he had written, but of these, only one has survived and it has the distinction of being his first published fiction. “The Mystery of the Raymond Mortgage” was written by Fitzgerald in June of 1909 and saw publication in the St. Paul Academy Now and Then magazine in October of that same year. Scott was only 13 years old at the time of its writing and the fledgling effort shows the influence of the popular mystery writers of the time, including Doyle and Poe. The story itself contains some of the stylistic traits that Fitzgerald would use in his later writings, but, although the work shows youthful enthusiasm, and a good premise, the tale itself is a mere curiosity due to numerous plot holes and the inconclusiveness of the ending—reading in many ways like the rough outline for a longer work. Fitzgerald was thrilled at its publication, however, and reportedly spent most of the day of its release trying to find out, in a casual way, if others had read the tale. 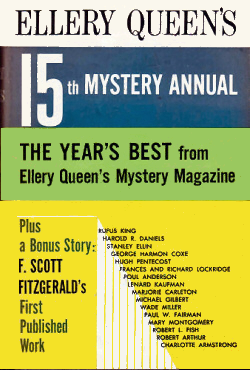 Although complete sets of Now and Then do exist, “The Mystery of the Raymond Mortgage” would most likely have remained a mysterious footnote in Fitzgerald’s bibliography, were it not for Ellery Queen’s Mystery Magazine . Exactly how, and why, the story resurfaced some 50 years after its initial publication is not known, but the editors of EQMM included the story in their March 1960 edition. From there it was also reprinted in Ellery Queen’s 15th Mystery Annual : an event that marked the first book publication of the story, some 20 years after Fitzgerald’s death. From there, the story has see-sawed in and out of print, and has now arrived here for reading on the Internet. We hope you enjoy it. Hopefully, these small edits will not cause any undue problems for your enjoyment of the story. WHEN I first saw John Syrel of the New York Daily News , he was standing before an open window of my house gazing out on the city. It was about six o’clock and the lights were just going on. All down 33rd Street was a long line of gayly illuminated buildings. He was not a tall man, But thanks to the erectness of his posture, and the suppleness of his movement, it would take no athlete to tell that he was of fine build. He was twenty-three years old when I first saw him, and was already a reporter on the News . He was not a handsome man; his face was clean-shaven, and his chin showed him to be of strong character. His eyes and hair were brown. I started to speak but he silenced me with a wave of his hand. “I am not here,” I interrupted coldly, “to tell every newspaper reporter or adventurer about private affairs. James, show this man out.” Syrel turned without a word and I heard his steps echo up the driveway. However, this was not destined to be the last time I ever saw Syrel, as events will show. On the morning of July 1st, a crime and serious theft were committed on the outskirts of the city. Miss Raymond was killed and the body of a servant was found outside of the house. Mr. Raymond of Santuka Lake was awakened on Tuesday morning by a scream and two revolver shots which proceeded from his wife’s room. He tried to open the door but it would not open. He was almost certain the door was locked from the inside, when suddenly it swung open disclosing a room in frightful disorder. On the center of the floor was a revolver and on his wife’s bed was a bloodstain in the shape of a hand. His wife was missing, but on a closer search he found his daughter under the bed, stone dead. The window was broken in two places. Miss Raymond had a bullet wound on her body and her head was fearfully cut. The body of a servant was found outside with a bullet hole through his head. 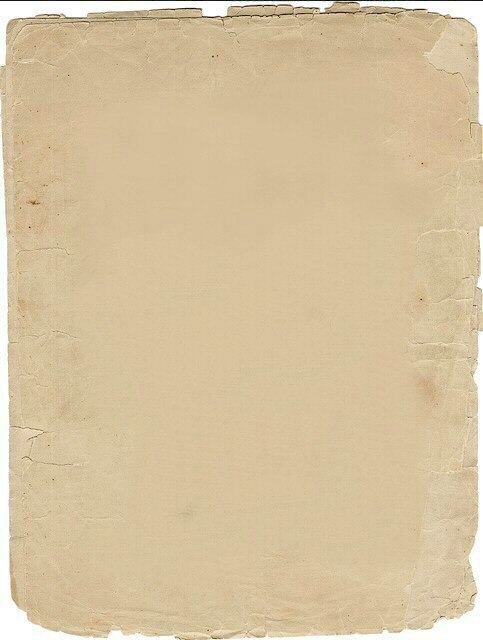 Mrs. Raymond has not been found. The room was upset. The bureau drawers were out as if the murderer had been looking for something. Chief of Police Egan is on the scene of the crime, etc., etc. Just then the conductor called out “Santuka!” The train came to a stop, and getting out of the car I walked up to the house. On the porch I met Gregson, who was supposed to be the ablest detective in the force. He gave me a plan of the house which he said he would like to have me look at before we went in. “The bullet which killed him was not found?” I asked. After I had examined the room to my satisfaction, I found that I might as well try to see through a millstone as to try to fathom this mystery. As I finished my investigation I met Gregson in the laboratory. “I suppose you heard about the mortgage,” said he, as we went down stairs. I answered in the negative, and he told me that a valuable mortgage had disappeared from the room in which Miss Raymond was killed. The night before Mr. Raymond had placed the mortgage in a drawer and it had disappeared. On my way to town that night I met Syrel again, and he bowed cordially to me. I began to feel ashamed of myself for sending him out of my house. As I went into the car the only vacant seat was next to him. I sat down and apologized for my rudeness of the day before. He took it lightly and, there being nothing to say, we sat in silence. At last I ventured a remark. Syrel dug his hand into his pocket and produced a bullet. I examined it. “In the yard,” he answered briefly. At this I again relapsed into my seat. When we reached the city, night was coming on. My first day’s investigation was not very successful. Beyond this nothing happened, and I came home worn out. I dressed hurriedly and took the first car to Santuka. When I reached the Santuka station, Gregson was waiting for me in a runabout. As soon as I got into the carriage Gregson told me what had happened. Gregson smiled. “That solution is impossible,” he said. I excused myself to Gregson and followed Syrel. As we reached the walk he began to talk. “How did you know all this,” exclaimed I, astonished. And then I told him about the midnight visitor. He did not appear to be much astonished, and he said “I guess that the young man is our friend of the footprints. Now you had better go get a brace of revolvers and pack your suitcase if you wish to go with me to find this young man and Mrs. Raymond, whom I think is with him." GREATLY surprised at what I had heard I took the first train back to town. I bought a pair of fine Colt revolvers, a dark lantern, and two changes of clothing. We went over to Lidgeville and found that a young man had left on the six o’clock train for Ithaca. On reaching Ithaca we found that he had changed trains and was now half way to Princeton, New Jersey. It was five o’clock, but we took a fast train and expected to overtake him half way between Ithaca and Princeton. What was our chagrin when on reaching the slow train, to find he had gotten off at Indianous and was now probably safe. Thoroughly disappointed we took the train for Indianous. The ticket seller said that a young man in a light gray suit had taken a bus to the Raswell Hotel. We found the bus which the station master said he had taken, in the street. We went up to the driver and he admitted that he had started for the Raswell Hotel in his cab. Syrel groaned; it was plain that we had lost the young man. We took the next train for New York and telegraphed to Mr. Raymond that we would be down Monday. Sunday night, however, I was called to the phone and recognized Syrel’s voice. He directed me to come at once to five hundred thirty-four Chestnut Street. I met him on the doorstep. “I have an agent in Indianous,” he replied, “in the shape of an Arab boy whom I employ for 10 cents a day. I told him to spot the woman and today I got a telegram from him (I left him money to send one), saying to come at once. So come on.” We took the train for Indianous. “Smidy,” the young Arab, met us at the station. We followed Smidy down the street until we arrived at a corner house. The ground floor was occupied by a cigar store, but the second floor was evidently for rent. As we stood there a face appeared at the window and, seeing us, hastily retreated. Syrel pulled a picture from his pocket. “It’s she,” he exclaimed, and calling us to follow he dashed into a little side door. We heard voices upstairs, a shuffle of feet and a noise as if a door had been shut. “Up the stairs,” shouted Syrel, and we followed him, taking two steps at a bound. As we reached the top landing we were met by a young man. “What right have you to enter this house?” he demanded. “The right of the law,” replied Syrel. “I didn’t do it,” broke out the young man. “It was this way. Agnes Raymond loved me--she did not love Standish--he shot her; and God did not let her murder go unrevenged. It was well Mrs. Raymond killed him, for his blood would have been on my hands. I went back to see Agnes before she was buried. A man came in. I knocked him down. I didn’t know until a moment ago that Mrs. Raymond had killed him. “She is out of your power forever,” said the young man. Syrel brushed past him and, with Smidy and I following, burst open the door of the room at the head of the stairs. We rushed in. On the floor lay a woman, and as soon as I touched her heart I knew she was beyond the doctor’s skill. “She has taken poison,” I said. Syrel looked around, the young man had gone. And we stood there aghast in the presence of death.